Autograph Letter Signed, making arrangements for a meeting. In French. A good one page example 6 x 4 inches. With a separate original cabinet portrait photograph of Massenet by Nadar. Paris, 8 April 1892. 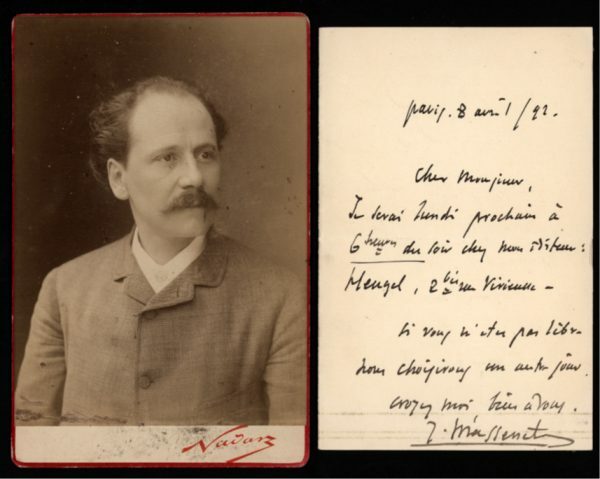 Jules Massenet (1842-1912), French composer.